IRM’s management team includes highly trained forest resource professionals with 30 years of combined experience in progressive forestry. 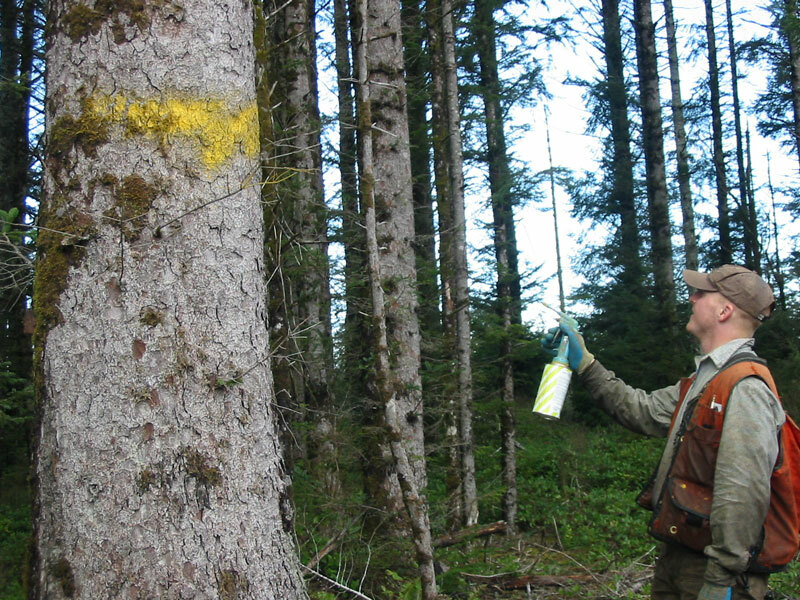 IRM has completed numerous projects throughout the Pacific Northwest in areas ranging from the coastal temperate zone to dry interior forests. IRM specializes in the design and implementation of forest management plans for landowners with a diversity of interests and objectives. Although this forestry may cost more than industrial approaches, our innovative and cutting edge practices leave a lighter imprint on the land while generating income for the landowner. In fact, long-term management by IRM benefits the landowner through timber harvest revenues and increased land value, and by maintaining wildlife habitat, scenic and recreation values, and healthy riparian areas. 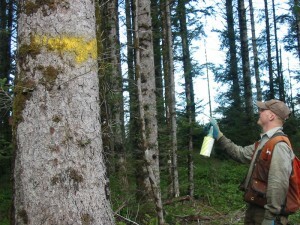 IRM forester tree marking per forest management plan prescription for selective timber harvesting.